Posted on September 22, 2016 at 7:51 am. I like learning how we will track our tech PD, share ideas, and likely modify our informational pages on the website. I am/was inspired to learn new tech tools to enrich my instruction. I wish I had more class time to integrate more technology. 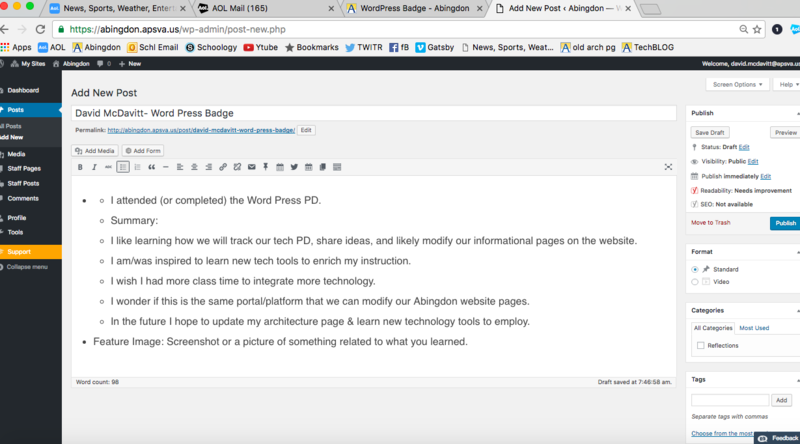 I wonder if this is the same portal/platform that we can modify our Abingdon website pages. In the future I hope to update my architecture page & learn new technology tools to employ.